At J Squared Plumbing we have years of experience in unclogging & cleaning sewer and drain lines. We use cutting edge equipment. High tech drain machines and or a hydro jetter. 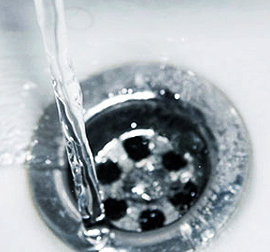 A clogged drain line can be the worst day ever, but J Squared Plumbing has your solution. Our main goal is to quickly and efficiently pin point your problem. Next, we will thoroughly clean any clogs that are there and help you prevent it from happening again. Our trained technicians are on the job to get things flowing freely and performing efficiently.